You run a safe business, but are you Fully Protected? At Dickey McCay Insurance, we strive to inform our valued clients and potential customers of the what to expect when it comes to Workers’ Compensation. What is workers’ compensation and how can it affect you as an employee since you should already be covered by an accident on a job. Right? Over the years, at Dickey McCay, we have seen and worked in many different work environments, so we can share our perspective and knowledge for both the business, commercial property and individual. Once you learn more about Worker’s Compensation, you will feel good about being informed and well on your way to making the right decision for you and/or your business. 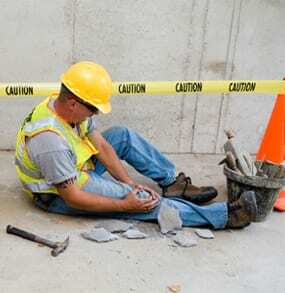 Worker’s Compensation is a form of insurance providing wage replacement and medical benefits to employees who have been injured on the job or in the course of employment in exchange for mandatory abdication (waiver) of the employee’s right to sue his or her employer for the tort of negligence. This tradeoff between the assured, limited coverage and lack of recourse outside the worker compensation system is known as “the compensation bargain”. This makes sense doesn’t it; however, one of the problems that the compensation bargain solved is the problem of employers becoming bankrupt as a result of high damage awards. The system of collective liability was created to prevent that, and thus to ensure security of compensation to the workers. Individual immunity is the necessary sequence to collective liability. While plans differ among jurisdictions across the State lines, provisions can be made for weekly payments in place of wages (which can be supported through disability insurance as it functions as a form of disability), compensation for monetary loss (past and future), reimbursement or payment of medical and like expenses (functioning in this case as a form of health insurance), and benefits payable to the dependents of workers killed during employment (functioning in this case as a form of life insurance). Please beware that general damage for pain and suffering, and punitive damages for employer negligence are generally not available in Workers’ Compensation plans. Good news is that in most cases regarding monetary rewards for employee compensation; negligence is generally not an issue in the case. These laws were first enacted in Europe and Oceania, with the United States following shortly thereafter. Common law imposes obligations on employers to: provide a safe workplace; provide safe tools; give warnings of dangers; provide adequate co-worker assistance (fit, trained, suitable “fellow servants”) so worker is not overburdened; promulgate and enforce safe work rules. Assumption of Risk: An employer can be held harmless to the extent that the injured employee had voluntarily accepted the risks associated with the work. As we have worked with Workers’ compensation for years, we have found that the legalese and statutes are intended to decrease or even eliminate the need for litigation (and the limitations of common law remedies) by having employees give up the potential for pain- and suffering-related awards in exchange for not being required to prove tort (legal fault) on the part of their employer. Based on Cornell University Law School, the laws are designed to ensure that employees who are injured or disabled on the job are not required to cover medical bills related to their on-the-job injury, and are provided with monetary awards to cover loss of wages directly related to the accident, as well as to compensate for permanent physical impairments. These laws also provide benefits for dependents of those workers who are killed because of work-related accidents or illnesses. Some laws also protect employers and fellow workers by limiting the amount an injured employee can recover from an employer and by eliminating the liability of co-workers in most accidents. State statutes [in the United States] establish this framework for most employment. Federal statutes [in the United States] are limited to federal employees or those workers employed in some significant aspect of interstate commerce. After learning more about Worker’s Compensation and the different State statutes, please provide Dickey McCay Insurance the opportunity to listen, review and recommend the best option for you as an individual, administrator, small, medium or large commercial business. It is best to protect your assets and lifestyle today and the future. 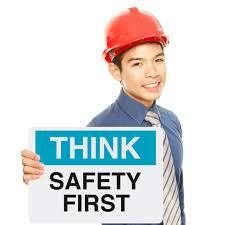 Call for a “Free Quote or Consultation” (423)496-3366.